Steamboat Skibikes, LLC rents and sells Type II Lenz Sport Skibikes at the Steamboat Ski Resort. We are your exclusive rental source for these full suspension Type II Skibikes in the beautiful mountain resort town of Steamboat Springs. 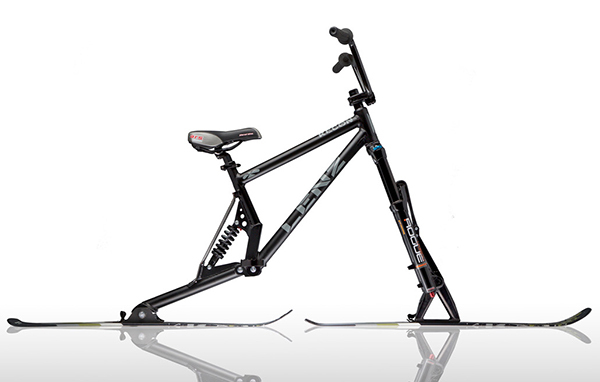 We have a rental fleet of 7 skibikes with a range of sizes to fit any rider. Reserve your ride now by calling 970-214-3045. Advanced notice will ensure that your receive the lesson date and time that you desire. Click here to visit their website. Rocky Mountain Ski Bikes offers rentals and demos with Vail pickup availability. Please visit Rockymountainskibikes.com for information and to contact them. If the resort you are skiing at does not offer Ski Bike rentals, you can pick up demo/rental bikes from our factory that is just north of Denver Colorado, or we can arrange a group rental with delivery to the mountain of your choice. Please email us for information and pricing on factory rentals and delivery.